The Orange & Black SoccerCast is proud to announce that we are now part of the Beautiful Game Network, joining forces with other soccer podcasts, many who cover other USL clubs. We feel that this partnership will not only grow our podcast, but will help share our love for Orange County SC with soccer fans all across the United States and around the world. In our most recent episode, we were able to collaborate with Fox Trot Pod, who is also part of BGN, and look forward to many more collaborations with the other great podcasts that cover the USL. 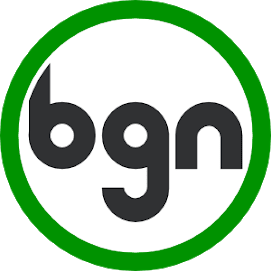 As part of the partnership, you will be able to find our show on the BGN website, but don't worry, because you will still be able to find our show wherever you currently listen to it, including our website. The Orange & Black SoccerCast will continue to provide fans with all of their Orange County SC news, analysis, and opinions on a weekly basis. The Orange & Black SoccerCast is the first and only podcast dedicated to Orange County SC, it's fans and supporters. It is a weekly look into all the news and information surrounding the club, including game analysis, news, opinions, and much more. We have been working closely with the club to help provide a unique look at the players and coaching staff to bring the fans closer to their heroes. The Beautiful Game Network is the world’s largest community of soccer podcasters, all working together to produce the most in-depth reporting, interviews and insights into the teams that fans love. Every fanbase deserves the best coverage possible and we strive to support those who are working hard to make that dream a reality. Whether you call it football, futbol or soccer, it’s all the beautiful game to us. Join us at BGN.fm and find your favorite show.